The awards were made to fund research projects that the federal science agency determined could produce “potentially transformative insights into understanding the brain.” The funding comes from the agency’s allocation for President Obama’s BRAIN Initiative, a multi-agency research effort that seeks to accelerate the development of new neurotechnologies that promise to help researchers answer fundamental questions about how the brain works. “These awards are yet another manifestation of the excellence of our neuroscience faculty and our long tradition in neuroscience research, which were key factors in building the number one ranked neuroscience graduate program in the nation and establishing our Kavli Institute for Brain and Mind,” said UC San Diego Chancellor Pradeep K. Khosla. The NSF’s 36 early concept grant awards, which total $10.8 million, are intended to “enable new technologies to better understand how complex behaviors emerge from the activity of brain circuits,” the agency said. Brenda Bloodgood, assistant professor of biology, for “A Novel Toolkit for Imaging Transcription in vivo.” “This project will develop a new genre of genetically encoded, fluorescent transcription factor reporters that enable the visualization and manipulation of endogenous transcription factor in individual neurons, in real time, and within the brain of behaving animals,” she said. “These reporters will have widespread utility for the studies investigating the molecular and cellular substrates that underlie learning and behavior.” Her two collaborators at UC San Diego on the grant are Takaki Komiyama, assistant professor of neuroscience, and Geoffrey Chang, professor of pharmacology. David Kleinfeld, professor of physics, for “Closed Loop Computing in the Brainstem.” Kleinfeld studies how sensation guides actions at the most basic level of control within the vertebrate animal brain and shares the award with long-time collaborator Ehud Ahissar, professor of neurobiology at the Weizmann Institute of Science in Israel. Kleinfeld and Ahissar study behaviors as basic as breathing and as complex as vocalization that are controlled by the brain stem where neural processing centers are closely connected to both sensors and muscles. “The tight proximity provides opportunity to reverse engineer the system to reveal nature’s secrets for the kind robust neural computing animals need to sense and respond to changing environments,” said Kleinfeld. 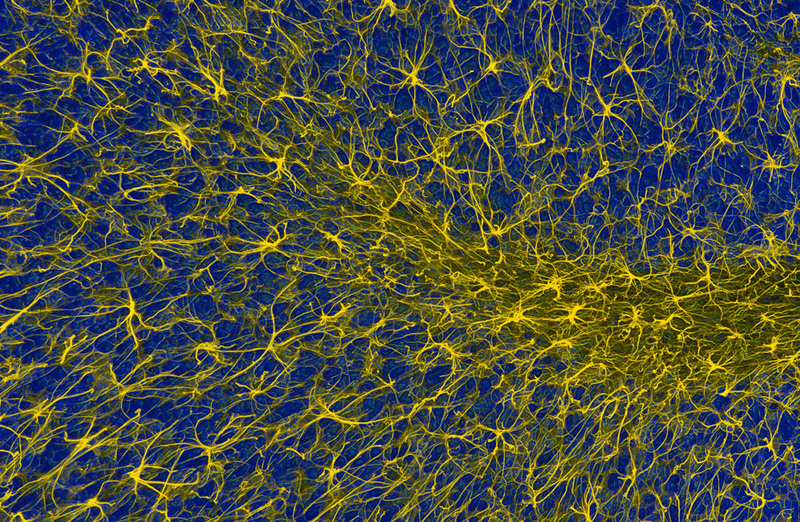 Each of these Early Concept Grants for Exploratory Research, or EAGER, awards will receive $300,000 over a two-year period to “develop a range of conceptual and physical tools, from real-time whole brain imaging, to new theories of neural networks, to next-generation optogenetics,” the NSF said. More information on the EAGER awards and NSF’s support for the BRAIN Initiative can be found at NSF.gov/brain.